We truly believe that getting a better sleep can revolutionise the way you feel, and in turn, have a massive effect on your love life! Research from the Better Sleep Council (BSC) found that on average, one in three people report that their partner’s sleep problems negatively impact their own quality of sleep – something that could definitely cause tension at the breakfast table! With this in mind, we have created this luxurious hot-pink bed with canary yellow piping, which is comfortable enough to ensure that you can leave your sleep problems behind this Valentine’s Day. What’s more, Savoir’s ‘zip-and-link’ mattresses mean that couples can enjoy a different mattress tension to their partner. Using this method of joining two individual mattresses together, it’s simple to sleep according to personal preference, but remain cosy and close to your Valentine. To truly get into the spirit of things, we invited our favourite interior designers for a cosy screening of a Valentine’s Day favourite, Dirty Dancing. With Pick ‘a’ Mix, Popcorn and Prosecco flowing, the ladies from Fiona Barratt Interiors and Taylor Howes watched the movie relaxing on Savoir Beds. We hope you all have a perfect Valentine’s Day! 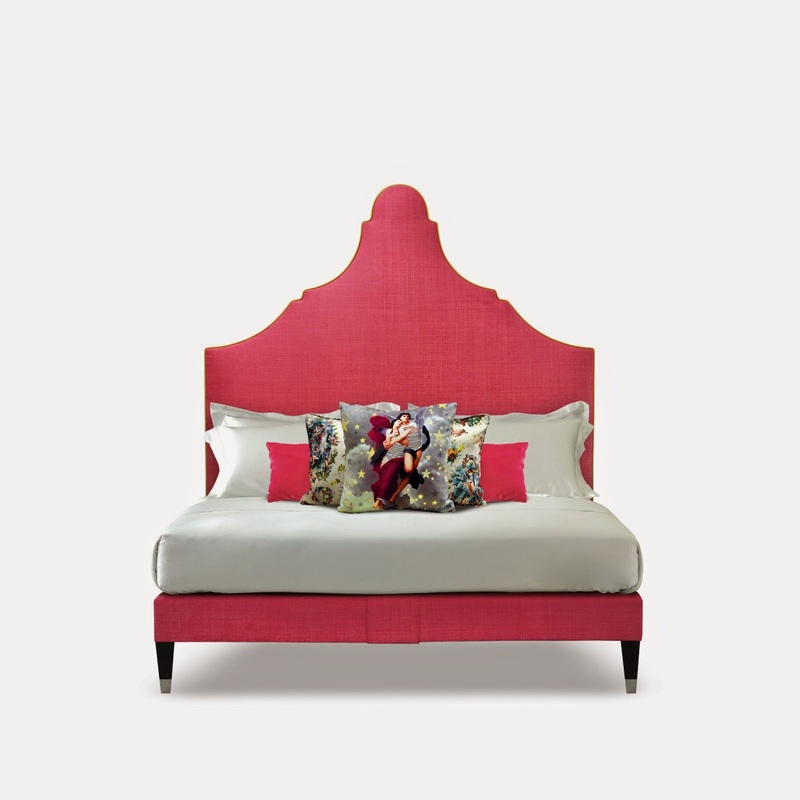 The Valentine’s Day bed boasts a Claudia headboard upholstered in hot-pink Romo fabric and includes a Savoir No.4 mattress measured at 180x200cm. This bed can be recreated with the help of Savoir’s showroom teams for £9,500. Hey, thanks, reading after four years, but again, valentine's day is almost here next month. Let's again share valentine's day quotes for husband so we can make his day.